In August 2014, the unthinkable happened. 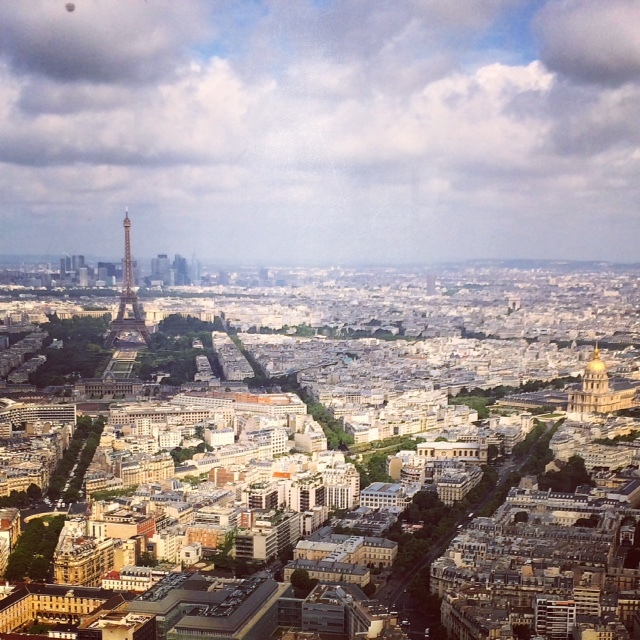 I purchased a ticket, rented a flat, packed a bag and flew to Paris – alone. The trip was a rather belated birthday gift for me (from yours truly) and admittedly there was nervous hesitation at the thought of trekking solo to France. All the uncertainties and doubts were finally quieted by the growing excitement of exploring this wonderful city with a flexible itinerary. So, I went to Paris and it was awesome. Previous travels have taken me to Paris but always with a tight schedule. The first time was a world wind week split between London and Paris. The second time was a quick stop in Paris before heading to Rome. Each trip was a joy but I longed for more time. This journey was an opportunity to see the city in a brand new light. Here are a few highlights from my first solo excursion. Renting a flat a one of the best decisions I made on this adventure. The flat allowed the freedom and space to live like a local even if only for a week. The early morning knocks on the door from room service and tiny hotel rooms with sealed windows were not missed. 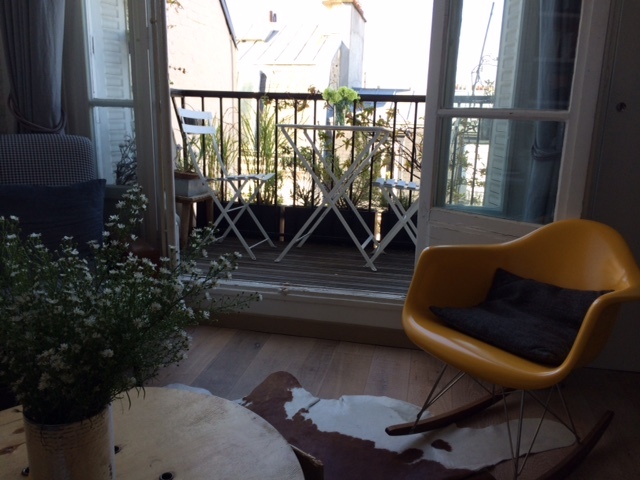 The apartment was in Montmartre ideally located close to lovely shops where I stocked up on wine, cheese, meat and fresh produce. 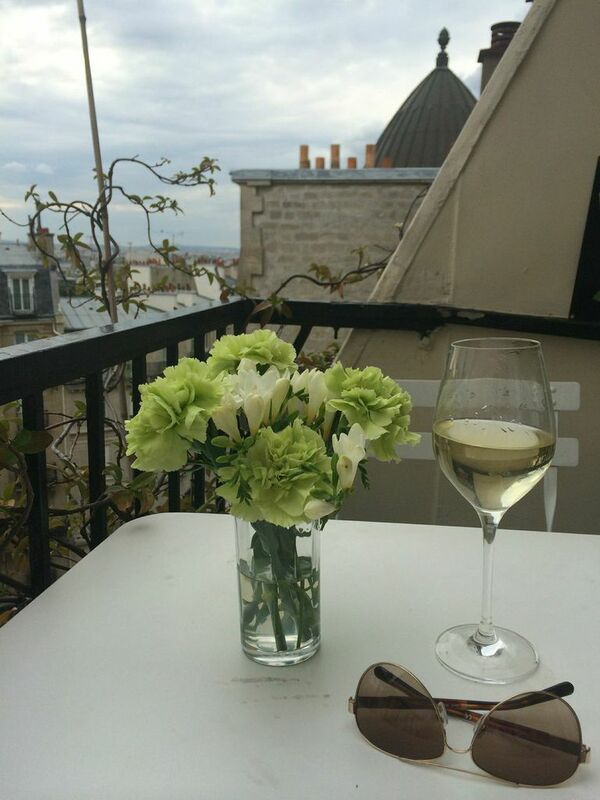 After a long day of exploring Paris on foot, I would whip up an easy dinner then relax on the balcony with a glass of rose and watch the Eiffel Tower twinkling in the distance. How do you say Heaven in French? Cooking a few meals during the week permitted splurges on long decadent lunches and a few pricey bottles of wine. In fairness, this was my first experience with AirBnB but my host and this well-equipped flat set the bar rather high. 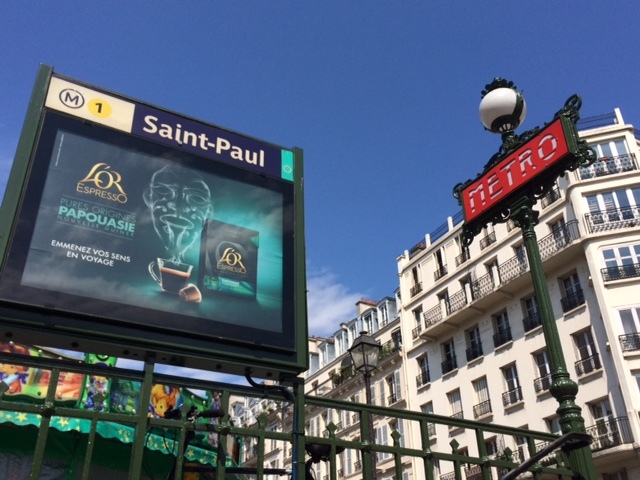 I wouldn’t hesitate to use this service again in Paris or in another locale. 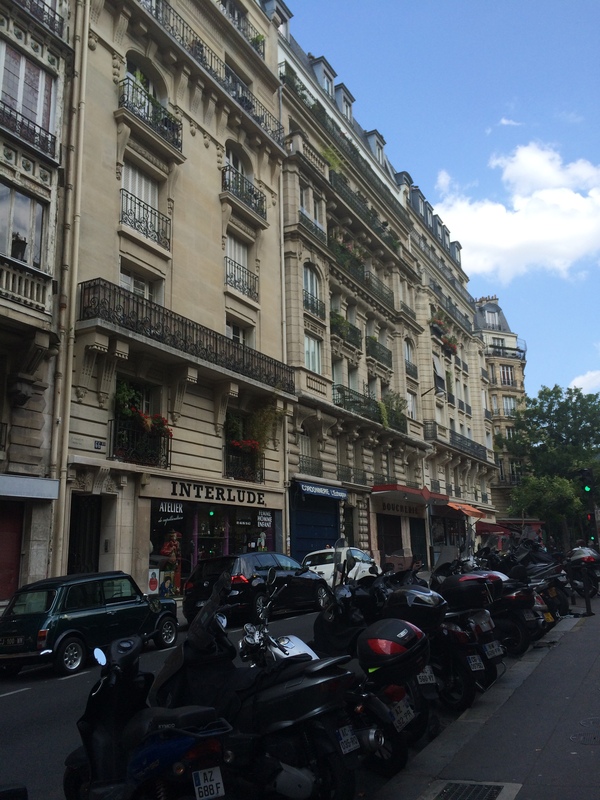 My Parisian street for one week. 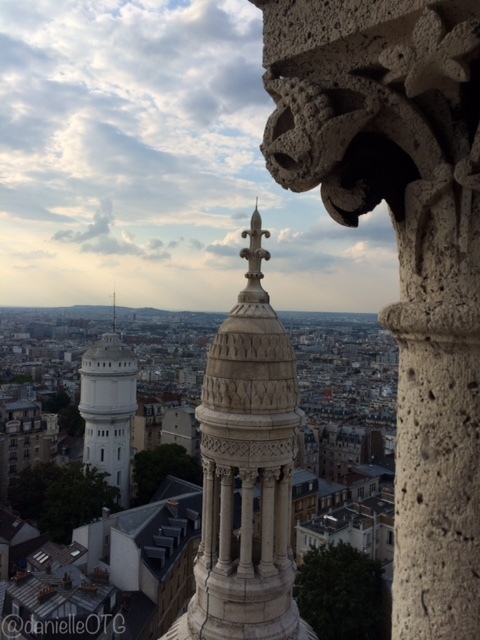 Sacre-Coeur, Where Have Been All My Life? 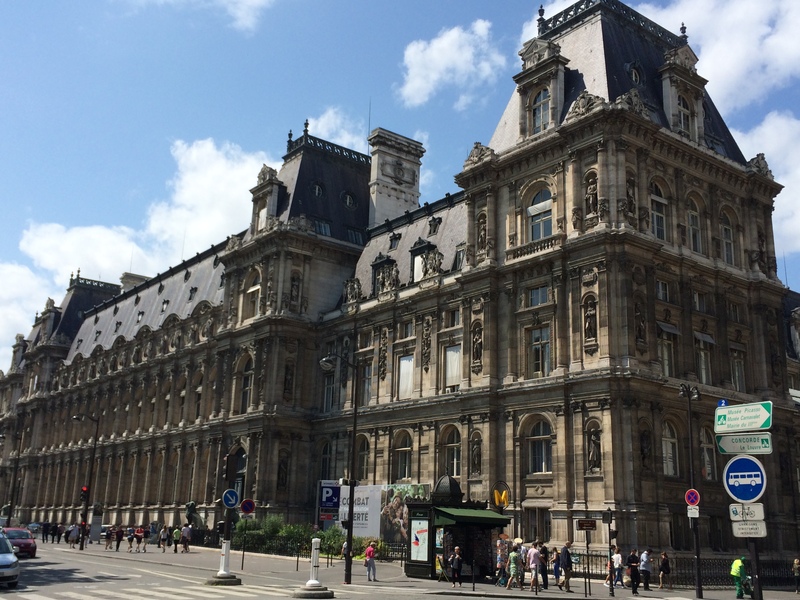 Determined not to fall into the usual routine, I admired the Eiffel Tower only from a distance and substituted a full day at the Louvre for several smaller museums and galleries. 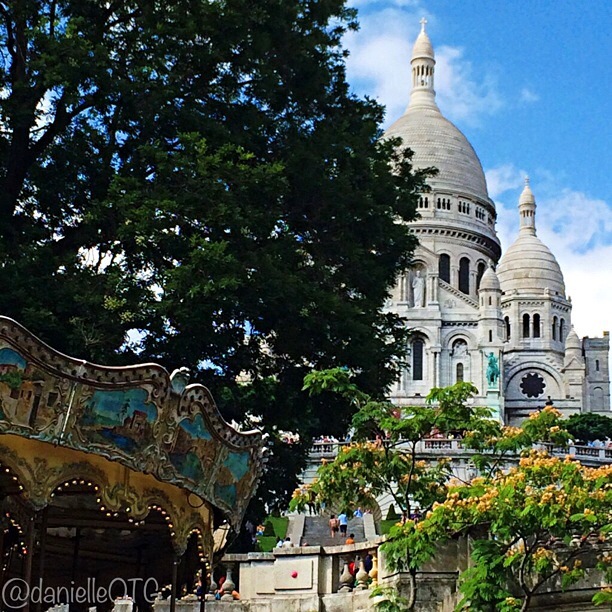 Exploring my temporary Montmartre neighborhood, I turned my attention to the Sacre-Coeur Basilica. On previous trips to Paris there was time only to glimpse this beautiful church from afar but I’ve been forever intrigued by its architecture and beauty. La Basilique du Sacre Coeur de Montmartre. Now, that is a mouthful! After experiencing the lively crowds and street performers gathered outside, I had time for a leisurely self-guided tour of the basilica’s interior before walking the 300 hundred steps to the Basilica Dome. There is a minimal entrance fee to access the Dome but more importantly no elevator. With all of the croissants and pastries I consumed in such a short period of time, the workout was welcomed. The views were worth every huff and puff. Should you walk all the way up to the top of the Dome? Yes, yes you should. Le Marias, an area located in the 3rd and 4th arrondissements, has quite the eclectic vibe so I hopped on the Metro to get lost in it for a while. For hundreds of years, the cobblestone streets of this historic neighborhood were the preferred area of aristocrats and wealthy families of Paris. When the nobles departed for greener pastures in the late 1600s they left behind their urban mansions (now home to many museums) and some of the oldest squares in the city. 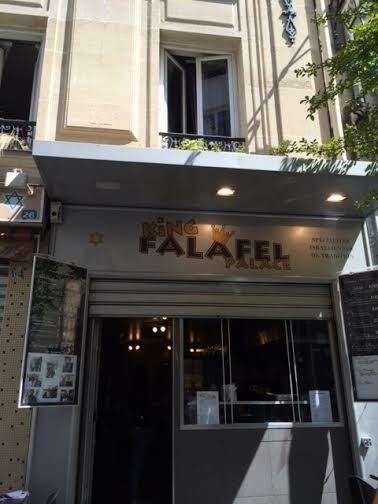 The area then became the home of the Paris Jewish community and thrived largely as a commercial district. Today, The Marsh, is a diverse community popular with locals and known for its art galleries, boutique shops, cafe and lively nightlife. Visitors are drawn to the museums like Centre Pompidou and the Musée Picasso or for picnics in Place des Vosges. Me? I was there to grab a falafel and wander the narrow streets for a while marveling at the architecture and soak of the atmosphere. 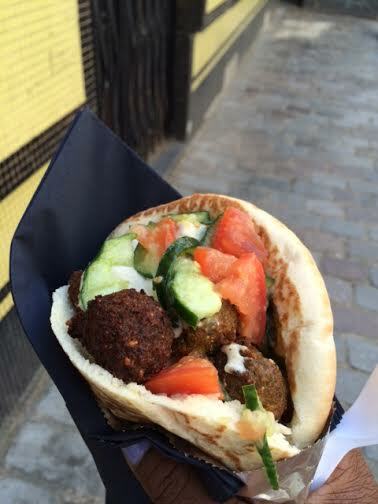 Yes, if you venture to the Le Marais you must treat yourself to a falafel. 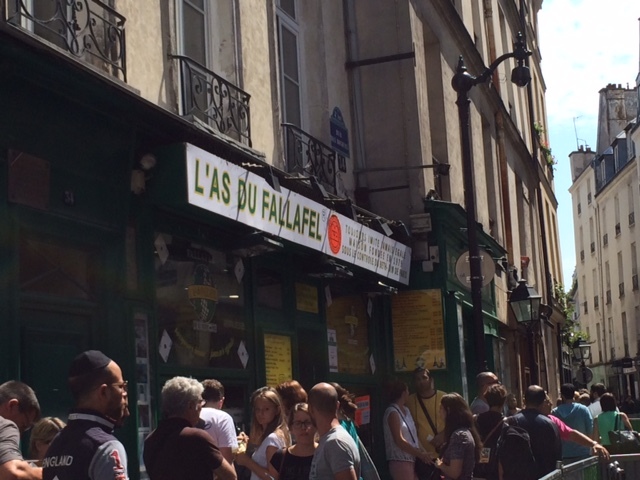 Choosing a location might be a fun challenge as proprietors will try to woo passersby with the promise that theirs is the ‘best falafel’ in Paris. Strolling slowly through 3e and 4e is all about the buildings for me. I spotted a few new favorites. 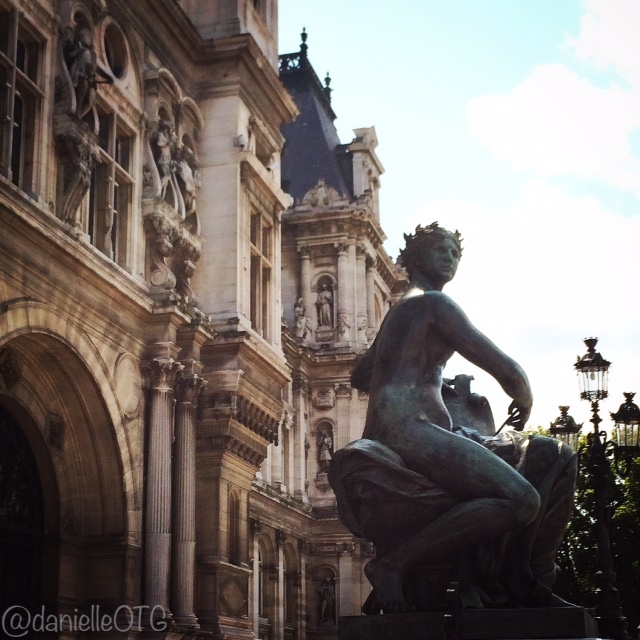 The Hotel De Ville is a beautiful historic building of Neo-Renaissance architecture. 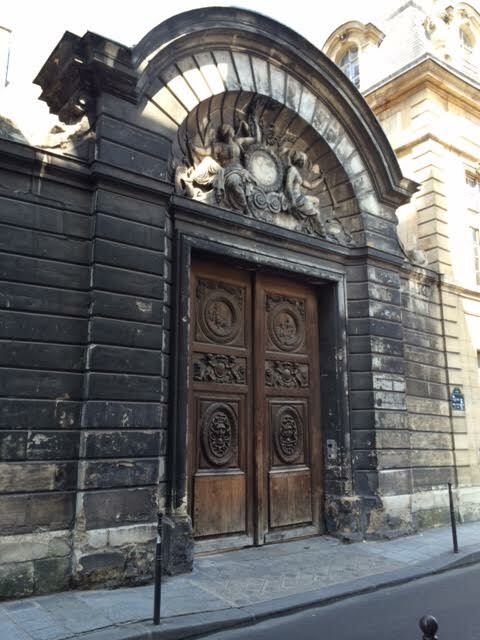 Currently it houses the Mayor and city council of Paris. Serving double duty as a museum of sorts, you can also find wonderful free art and history exhibits on the first floor. Waiting in line to visit the top of the tower was not on my agenda. In fact, I said I would avoid the area as much as possible. When I returned home it was evident from my photos that there was a bit of Eiffel Tower trailing happening during my visit. One simply cannot help but to be drawn to her. She is quite the muse and spotted in a number of photos. 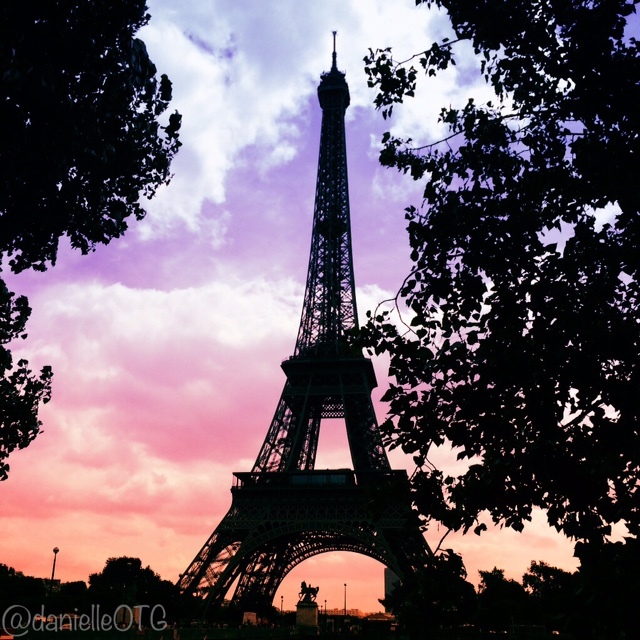 My secret is out – I am a wee obsessed with the Eiffel Tower. Visiting one location repeatedly isn’t usually the philosophy of an avid traveler; after all there is a lot of world to see. Of course, there are exceptions to every rule. Some places creep into your heart and beckon you back again and again. Paris and I had a bit of unfinished business. I needed one more chance, or so I thought, to explore the squares, rues, passages and halls again to put to rest this longing. Now I fear we may never be done with each other. Fair enough, as they say, Paris is always a good idea. 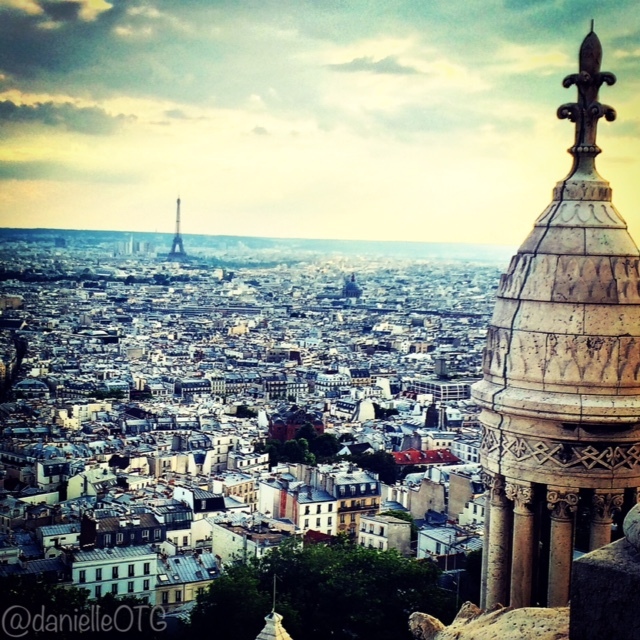 Is Paris on your bucket list or is it a perennial favorite? 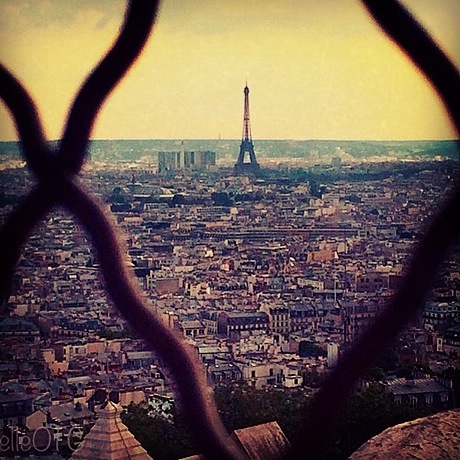 Newbies what is on your Paris must see list? Veterans, what is on your can’t miss list?